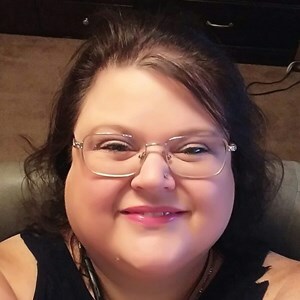 Betsy Aline Hall-Ingram, age 49, of Saint Peters, Missouri passed away on Thursday, March 21, 2019. She was born in Saint Louis, Missouri on January 16, 1970 to the late James and Betty Hall (nee: Lowery). Betsy enjoyed being an Avon Representative for 7 plus years . She was married to Elizabeth Hall-Ingram for 7 years and together for 20 years. Betsy is survived by her Loving Wife, Elizabeth Christine Hall-Ingram, Children, Courteney Johnson, Kayla Johnson, Matthew Hall-Ingram, Ethan Hall-Ingram and Andrew Hall-Ingram, Granddaughter, Evelynn Brown, Siblings, James Melvin Hall, Jr., Richard (Denise) Robertson, Donald Brown, Lisa (Michael) Milligan and Cherryl Smith, Niece, Ashley Hall, Nephew, James Hall, III, Mother-In-Law, Brenda Spruell. She was truly loved and will be greatly missed by a host of other family members and friends. She was preceded in death by her Parents, James and Betty Hall. Visitation will be held on Friday, March 29, 2019 from 4:00 pm until 7:00pm at Newcomer Cremations, Funerals & Receptions, 837 Mid Rivers Mall Drive, St. Peters, MO 63376. Memorial Service will immediately follow at 7:00 pm. To share a memory of Betsy or leave a special message for her family, please click the Share Memories button above. Add your memories to the guest book of Betsy Hall-Ingram. I met Betsy in 1994 while breastfeeding my Jasmine at Pizza Hut. She walked right up to me with Kay on her hip and asked to see my baby. We’ve been great friends ever since. There is nothing that I wouldn’t have done for her or her family as they were my family too. We will miss her beautiful smile, her spunky attitude and her love for life. RIP Betsy. I will see you when I get home to heaven. I’m grateful that you can now move freely without complications. ?? She is my best friend the love of my life. 20 yrs ago we met in a internet game room and the in 2012 she became my wife. She is the kindest most caring person. She is the mother of my kids. RIP beautiful until we meet again I will be strong and take care of our family.